The waiting is over. 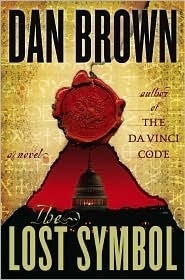 THE LOST SYMBOL by Dan Brown hit the store shelves yesterday. Love him or hate him, this is a big deal in the world of publishing. So what does this publication mean for us thriller authors? The way I see it, if all of us are ships in a naval battle group, THE LOST SYMBOL is the admiral’s flagship aircraft carrier pulling us in its wake, setting the course, and identifying the potential destination. When TDC came along, it created a whole new cottage industry of thrillers that contained secret societies, lost treasures, relics, scientific and religious conflicts, and other like-minded themes. I know that for me, it helped build interest in four of my novels. But in the bigger picture, it created a hunger. Just like Indiana Jones movies renewed an interest in the dark side of the 1930s-1950s, the Nazi, religious antiquity, and archaeology, Dan Brown and his books have continued to feed that hunger. A hunger that will potentially spill over to other books and writers. Because, once readers finish THE LOST SYMBOL, hopefully they’ll be hungry for more. The void must be filled. Here’s an example from Library Journal where one of my books is mentioned. I’m excited not only for Dan Brown, but for all thriller authors. This guy is shooting full-court 3-pointers, but the thriller team is ultimately the winner. Do you plan on reading THE LOST SYMBOL? Do you consider it a thriller genre-boosting event or just another high profile novel by a famous writer? This entry was posted in Dan Brown, Joe Moore, publishing, thrillers by Joe Moore. Bookmark the permalink. As soon as I can get it from the library! At the point I read The Da Vinci Code, I had decided to stop picking apart mistakes I was finding in books. I had become convinced that books being published today were lousy because I could find flaws with everything–at least until I picked up a few 70s books from a book sale and saw how good today’s books were. So when I hit DVC, I was looking to see what sold it, what made it a book everyone had to read. A great action-adventure novel. I also live in Washington, DC, and we’re starting to see what the book is doing to our tourism–in a time when it’s winding down. The George Washington Masonic Temple (Washington was a mason, and the temple has a museum of some of his artifacts) has been receiving 150 visitors a day. That’s five times what they normally get! I’ll get it if the reviews are good, which is what I did for TDV. Maybe. We’ll see. But I think and hope you’re right about its impact on the thriller genre. I also believe that whenever a book creates as much hype as this, it’s good for all book sales. Reading is great fun, but sometimes people need that “in your face” reminder. Oops. Meant to say TDC. Obviously. Sorry. It’s early. I agree with you, Joe: A rising tide (or in Brown’s case, a tsunami) lifts all boats. His new book will be good for the genre. It’ll be a while before I read it, though, because I didn’t love The Da Vinci Code, and actually didn’t finish it. But I’m one of those awful readers–if I don’t get grabbed by the first 10 pages, I put the book down and never pick it up again. I’m in favor of anything that gets people to read. If they like the book and feel like reading something else because of it, then everyone benefits. I read TDC at the request of a friend, who wanted to know what i thought of it. I cannot conceive of any circumstances that would get me to read the new one. Maybe if I had cancer and it was a guaranteed cure. Not 90% sure; guaran-effing-teed. I don’t think DB’s hurting publishing, although it’s entirely possible bookstores are going to hurt themselves with his new book. It looks like a lot of bookstores are discounting the book so steeply that they won’t make any profit on it, they just hope it will bring more people into the store. I’m not sure that makes sense. If you’re losing money at a 40% discount, I don’t think a 25% discount or even 15% or 10% discount would really slow sales much. I’m not sure this event will lift all thrillers, just as Cold Mountain did not lift all historicals. I also don’t see a new genre developing from this, as it did from TDVC, with all the Knights Templar books, etc. That seems to me more of a one time deal, just as TDVC itself was. It IS nice to have people excited about a hardcover again, but I don’t see that spilling over into the purchase of more. We still face the same challenges in the publishing world. These are not criticisms of the author or the book, but rather what I see as the current reality. I’d love it if this became a “tent pole” supporting more thrillers. I have a link there to this blog. You guys do great work here. I think if it helps lift the industry great but I suspect it won’t be the flagship we hope – perhaps just a one book surge? I didn’t finish TDC but I had already read Holy Blood, Holy Grail so the concept was not new to me. I’m not planning on getting The Lost Symbol because I didn’t enjoy his style – but that’s just me. I still wish him every success – I think every bit helps thriller writers everywhere! So has Dan Brown done it again, in more than one regard? By the way- I will probably reading it on my Kindle. I might read it, or not. But I certainly do hope that at some level it inspires someone to buy thrillers. Especially action/military thrillers. Especially action/military thrillers set in Alaska, Iran and Ohio with back story in Africa, Bosnia, and Burma that have been podcast to audiences of tens of thousands of excited listeners worldwide and have yet to be picked up by a publishing house but is being looked at by a couple right now and the author is getting all twisty-faced in anticipation. In other words, yeah, here’s hoping it works out for all of us…and me too. Thanks for all the comments. I think Kathryn said it well; a rising tide does raise all boats. Let’s hope TLS gets them in the stores and while they’re there, they buy more of our books. I will definitely read it. I am a big fan of the conspiracy-theory-secret-society subgenre of thrillers, especially with a dose of religion. I got a kick out of DaVinci Code, enough to forgive it its clunky spots.